If you’re the sort of Bard devotee who loves to indulge in adaptations of his plays, it’s time to plan a fall trip to NYC. The Museum of Modern Art (MoMa) will host “Breaking Bard: Shakespeare on Film” from October 12-24. According to Deadline, MoMA will screen 21 films that adapt or are inspired by Shakespeare’s works. You can swoon over Leonard Whiting and Olivia Hussey in Franco Zeffirelli’s 1968 adaptation of Romeo and Juliet — or bask in Baz Luhrmann’s 1996 acid trip (my fave). But more conceptual films like Tom Stoppard’s 1990 Rosencrantz and Guildenstern Are Dead—based on Hamlet—are also listed on the roster. 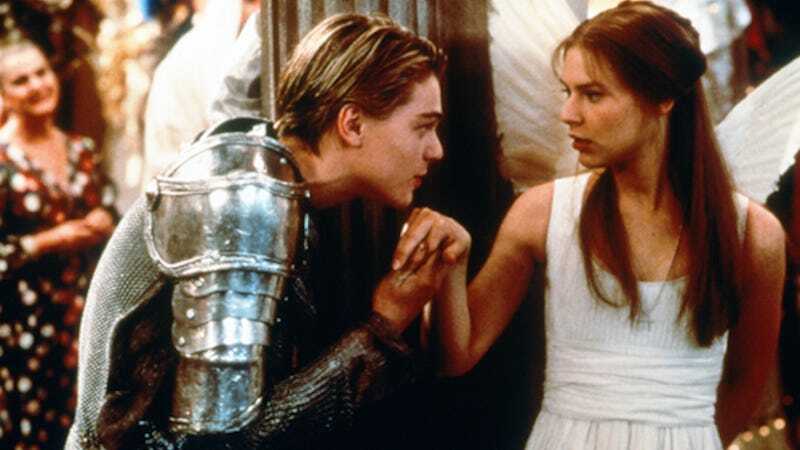 Thus, the Bardfest will represent showcase decades of Shakespeare on film, from Laurence Olivier’s 1948 Hamlet, to the 2001 O to Julie Taymor’s 2014 A Midsummer Night’s Dream. And we can only assume that Kenneth Branagh will loom large. You can check out the full listing here and talk amongst yourselves in the comments about who played Hamlet best. I leave you with the dreamy theme from Zeffirelli’s Romeo and Juliet.